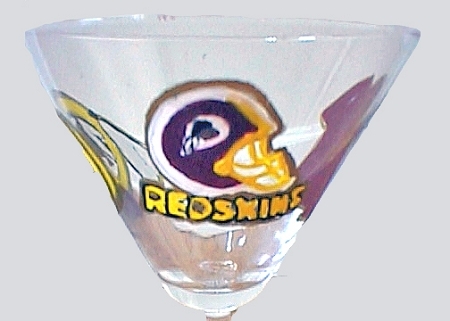 Washington "Redskins" Washington Redskins Football Glasses hand painted in the traditional colors of burgundy, gold and white, and show off the team's helmet, shirt, and logo. The Washington "Redskins" was established in 1932 and has a rich history of valuable players and super bowls. 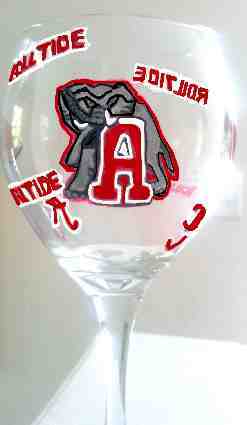 We hand paint any type of Washington Red Skins sports glasswarewith the Washington Redskins logo and make the perfect gift for the sports fan.